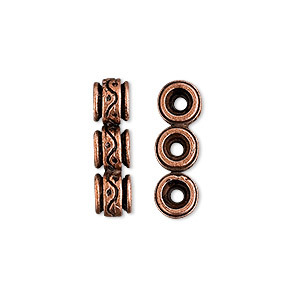 Item Number: H20-9455FX Have a question about this item? 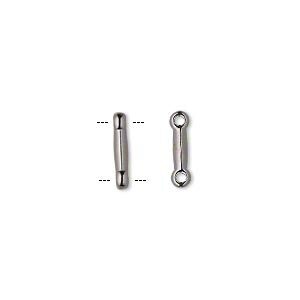 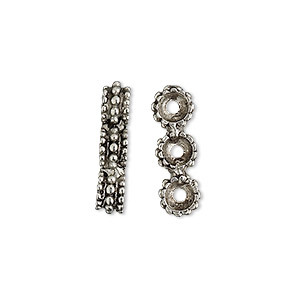 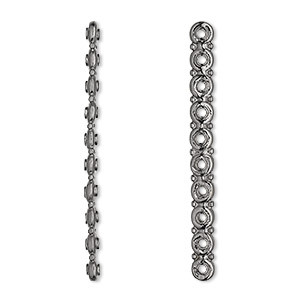 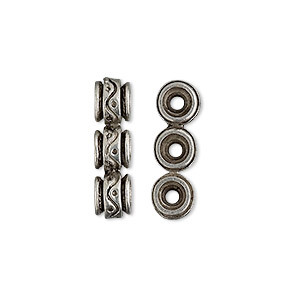 Keep multiple strands spaced evenly with three-hole pewter (tin-based alloy) spacer bars. 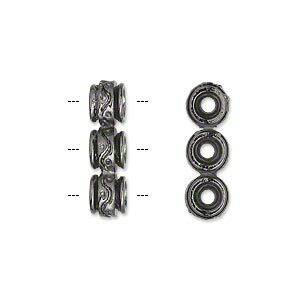 Accenting designs with the ever-popular gunmetal-finish, rondelle spacer bars are a stylish way to create single or multiple strand jewelry pieces. 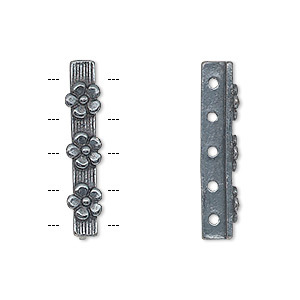 As a versatile component, the spacers work well in any direction; horizontal, vertical, diagonal and every which way. 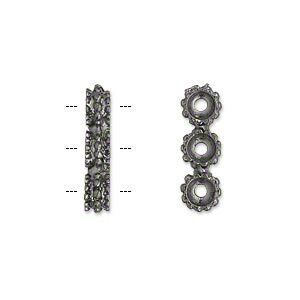 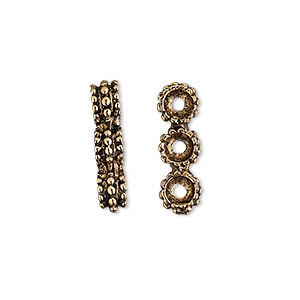 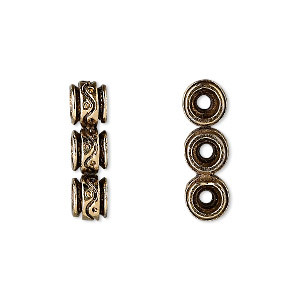 Decorative spacer bars prevent multiple strands from tangling and keep them spaced evenly throughout the design.